Different countries have had gambling in some form or the other, from games based on dice rolls to drawing of lots and also games with some level of skill involved. There are ivory dice from the times of the Egyptian civilization dating back to 1537 BC and there have been mentions of gambling in Cicero’s Divinatoire. Gambling has been prevalent in UK too for quite a while. The UK is one of those countries where gambling has really developed over the centuries. On this page we take a brief look at the history of gambling in the UK, from the ancient times right up to today. The poor indulged in dice games and later, coin-based games. There were laws in place that regulated to an extent who could gamble. Around 1569 and then 1585 through a Royal Charter from Queen Elizabeth I. There were lotteries authorized by Charles I later in 1627, 1631, and 1689, though it was for a purpose: financing the supply of water in London. The first official national lottery was authorized by Parliament in 1694. In 1721 legislation was passed banning private lotteries. Horse racing itself surfaced in Britain in the 16th century. The 18th century saw the birth of two of the biggest racing institutions in the UK – the Jockey Club and Tattersalls. Gambling also flourished in the exclusive gaming houses or clubs that had as its clients wealthy patrons. However, there were persistent resistances to gambling across the UK, and the result was the setting up of the Select Committee on Gaming in 1844 in the House of Lords. This finally resulted in the passing of the first official gambling-related legislation, the Gaming Act, in 1845 followed by the Betting Act of 1853. Together, these two laws banned gambling in all forms for the working class. The 20th century saw the emergence of a large number of betting shops across the UK and the 1961 Betting and Gaming Act ensured the arrival of the casino. The first official casino in London was the Clermont Club, which opened in 1962. It is, even today, one of London’s most respected clubs. There are a large number of online and now mobile casinos in the UK today. A number of these are based locally in the UK, offering UK players an advantage in terms of familiarity with the games on offer. There are a number of overseas operators as well. Earlier, overseas operators could use their regular licenses to operate and service clients in the UK. However, all that changed with the passing of the Gambling (Licensing and Advertising) Act in 2014. This new Act, derived out of the Gambling Act of 2005, made it mandatory for all online gambling operators servicing UK players to obtain a license from the UK Gambling Commission. So now overseas operators have, apart from their original license from a licensing jurisdiction, a license from the UKGC as well. Operators had the choice of paying a fee and obtaining a continuity license till their new licenses were processed and approved by the UKGC. This move led to a few overseas operators shutting down their UK operations. A number of others have, however, stayed on. As of today, more than 150 companies have applied for continuity licenses from the UKGC and a number of companies have started the process of shifting their customers to new UK-based platforms. The following is a brief timeline of gambling as it has existed and developed in the UK right from the beginning. 1400s: Gambling distinguished by class comes into being; horseracing and other sports for the wealthy and dice games and other smaller types of gambling for the poor. 1500s: Horse racing officially surfaces as betting sport for all in the UK. 1569: Lotteries officially launched through a Royal Charter from Queen Elizabeth I. 1585: Another official lottery launched by Royal Charter. 1627 and 1631: Official lottery launched by Charles I. 1689: Official lottery launched again to finance London’s water supply. 1694: First official national lottery is launched. 1721: Legislation passed to ban private lotteries. Late 1700s: Emergence of gaming clubs and houses. 1844: Select Committee on Gaming set up in the House of Lords. 1845: The Gaming Act is passed. 1961: The Betting and Gaming Act is passed. 1962: London’s first official casino, Clermont Club, is inaugurated. 1990s: Online casinos start making an appearance in the UK. 1993: The National Lottery Act is passed and the National Lottery Commission is set up to regulate the National Lottery. 2005: The Gambling Act is passed and the UK Gambling Commission is set up. 2013: The UK Gambling Commission takes over the responsibilities of the National Lottery Commission and begins to regulate the National Lottery. May 2014: The Gambling (Licensing and Advertising) Act is passed. November 2014: The Gambling (Licensing and Advertising) Act is challenged in court by the Gibraltar Betting and Gaming Association (GBGA). 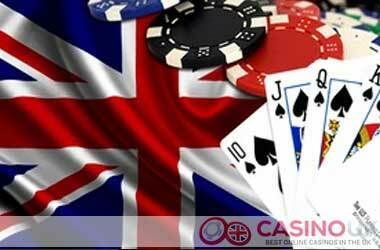 >> How Difficult is Land-Based Casino Gambling in the UK?